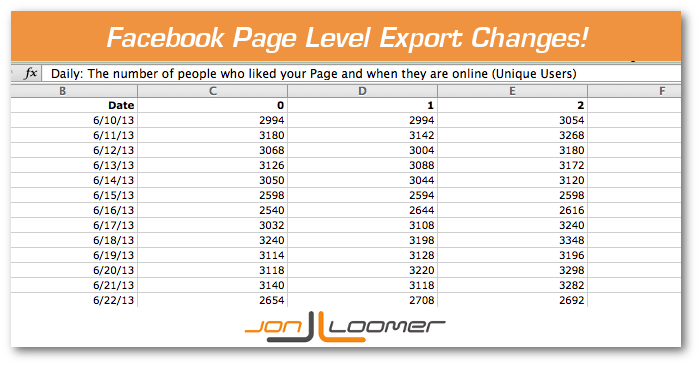 A few days ago, I covered what changed regarding the new Facebook Insights post level exports. In summary: We lost some things, but nothing new. Today I want to focus on the file that is much more difficult to work with: The page level export. This is a file that previously had 65 tabs, including Key Metrics. Mounds and mounds of data to work through. As mentioned, there were previously 65 tabs associated with this file. Now there are 63. I hope you won’t be looking for stats related to Virality any time soon. Each of the Viral Reach and Impressions tabs featured the number of people reached via particular story types (check-in, Offer claim, Page Like, Page mention, Page post, user post or “other”). 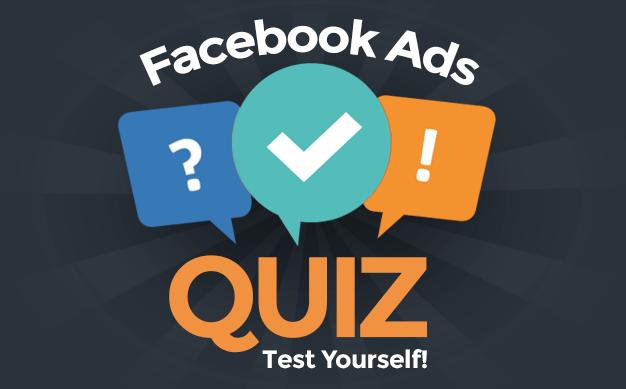 Viral Frequency Distribution broke down how many times users were reached with content about your Page. When reviewing the changes to the post level export, we learned that Talking About This and Stories were going away. These are essentially replaced by page-level Positive Feedback. Positive Feedback breaks down the number of Offer Claims, Comments, Likes and Links (presumably Shares) that were accumulated for all content for a particular time period. This is mildly helpful, but I certainly preferred it on a post-level basis. The new web version of Insights has a nice new graph showing how many of your Fans are online every day. That is supported by a new Daily Liked and Online metric at the end of the page level export. The Key Metrics tab is where most marketers will get their data. This is the overview of what’s most important, without some of the details. The old Key Metrics tab had 90 columns of stats in it. The new Key Metrics tab has 72. There are actually a bunch of stats missing, as you can imagine from a drop-off of 90 to 72. Talking About This measured the number of people who created a story (Page Like, comment, share, check-in, Offer claim, etc.) during a designated time period. Stories, of course, measured the actual number of those stories. Viral Reach and Impressions measured the people you reached via a story by a friend. Once again, this is the stat that corresponds to the tab within the new version of web Insights that reports how many of your Fans are online. This was already a very difficult file to work with because it’s filled with metrics that are so closely related that there was unnecessary fluff. So the fact that there was more scaling back than there was “adding something new” is a good thing. Overall, I don’t mind seeing the viral stats go away. The Stories and Talking About This stats were virtually replaced by Positive Feedback. So in the end, there’s not a whole lot to see here. Most won’t notice a difference at all. How about you? Upset about any stats that went away? Happy about some new ones?